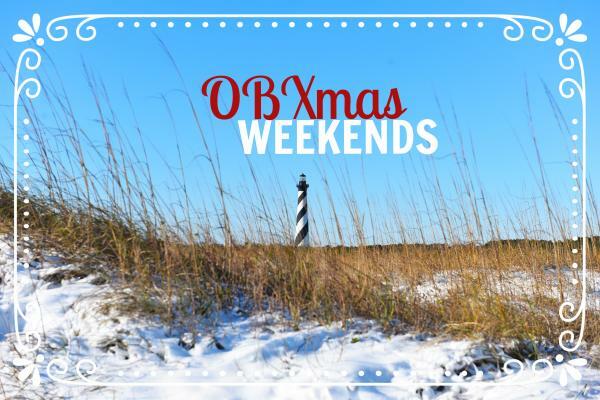 Come celebrate your holidays on the Outer Banks by attending our annual OBXmas Weekends. 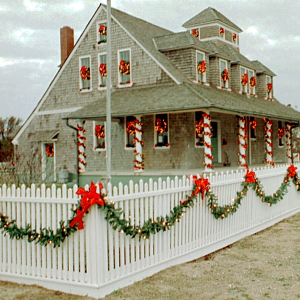 Each weekend, Thanksgiving through Olde Christmas (January 6), take part in over a month of holiday activities and fun for the entire family. You can also view a list of our Restaurant hours and openings for this Winter. Below are a few signature events happening this December. 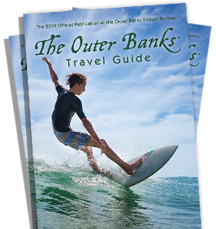 Visit our events page for a full list of upcoming celebrations or watch Holiday Edition: OBX Daydream playlist. Winter Lights: November 24, 2018 - January 19, 2019. Tuesdays to Saturdays in December; Friday and Saturdays in January. (Closed on Dec 24, 25, 31 and Jan 1); Stroll along enchanted garden paths and discover the joy of the season with holiday lights, sights and sounds transforming The Elizabethan Gardens into an illuminated winter wonderland. The radiant glow of the gardens, traditional holiday décor and fantastical displays are a true spectacle to behold. 115th Annual Celebration Of The Wright Brothers First Flight: On Monday, December 17, 2018, the First Flight Society and the National Park Service (NPS) will continue the tradition of honoring the accomplishments of Wilbur and Orville Wright at the 115th anniversary celebration of the first heavier-than-air, controlled, powered flight. The event takes place outside of the Wright Brothers National Memorial Visitor Center and park entrance fees will be waived for the day. 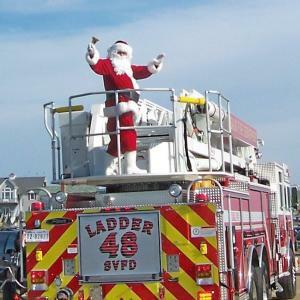 Hatteras Island Christmas Parade: December 8, The holidays would not be complete without an old fashion Christmas parade and Hatteras Village is where you can find one. For warm, hometown, holiday spirit, this is an event that no one should miss. After the parade and as twilight draws nigh, Santa is transported throughout the village on one of the local fire trucks wishing holiday cheer to all the local youngsters as well as to those who are young at heart. 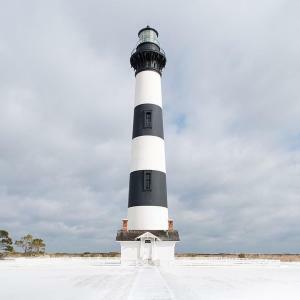 Cape Hatteras Lighthouse Winter Climb:The Cape Hatteras Lighthouse will be open to the public for a free Winter Climb on Saturday December 8, 2018 from 9:00 am to 12:00 pm. Volunteers from the Outer Banks Lighthouse Society and Cape Hatteras National Seashore park rangers look forward to greeting local residents and visitors at the lighthouse. Children who wish to climb the lighthouse must be at least 42” tall, and children under 12 years of age must be escorted by a person at least 16 years old. Climbing the lighthouse is strenuous and is equivalent to climbing a 12-story building. 5th Annual Beach Food Pantry Holiday Chefs Challenge: A night for foodies and doing good in the community! Outer Banks chefs compete for the title of "Prince or Princess of Canned Goods." Each chef has 60 minutes to cook a dish using item(s) that the Beach Food Pantry would normally keep in stock to provide to their clients. One of the items used must be a canned good. Attendees and a three-judge panel vote for their favorite dishes. 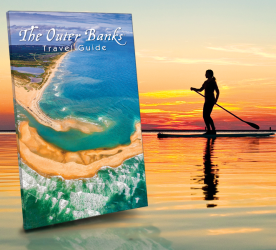 Toast To The Coast Oyster Roast: December 15, Join Outer Banks Distillery and the North Carolina Coastal Federation for rum, oysters and more! Tickets can be purchased at the door – a $20 ticket covers unlimited oysters from local growers until supplies run out (so arrive early) and samples of the Distillery’s rum lineup. 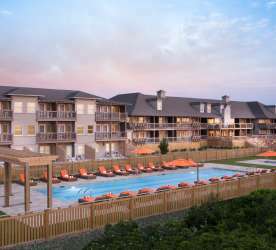 Beer by Lost Colony Brewery and Outer Banks Brewing Station, wine by Sanctuary Vineyards and sides by Green Tails Seafood and Two Roads Tavern will also be available for purchase. 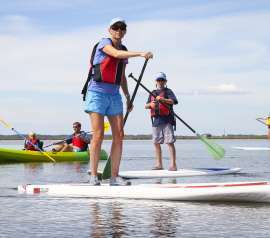 Ticket proceeds will benefit the federation in support of their work restoring coastal habitats and water quality. 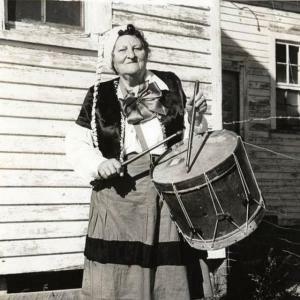 New Year in the New World: December 31, The town of Manteo is closing the downtown streets so that everybody can gather for live music, family-friendly activities and an early ball drop for the kids. Local food vendors will be on site, and the downtown restaurants and bars will be open late. Topping it off is a full-on fireworks show, the largest in the state, choreographed to music.